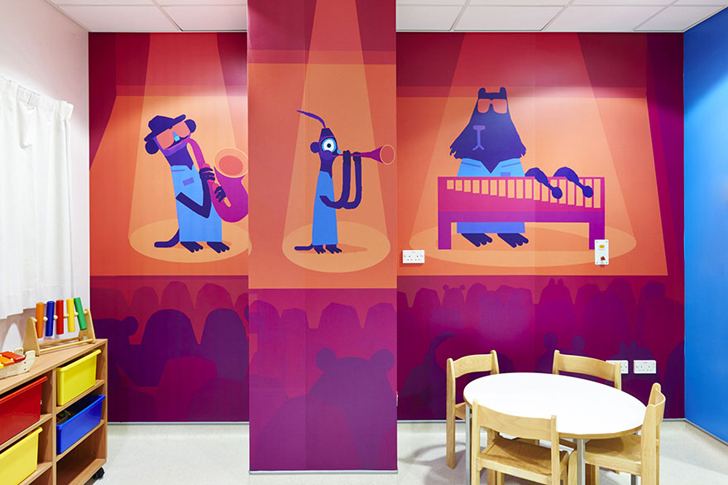 Every kids room should have a magical feel. The room should feel like a place where the imagination can run wild, a place where any adventure is possible. 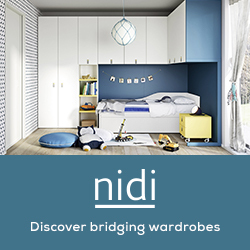 Things like hideouts, dark walls and inspiring artworks can all help create a magical room. But my favourite way to add instant magic is fairy lights. 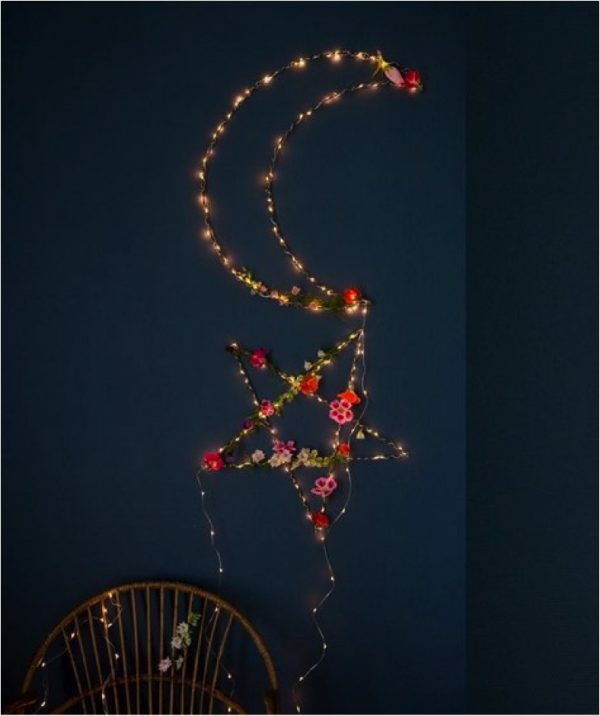 These twinkly little lights don’t cost much at all and can so easily transform a kids room without any effort. Fairy lights and canopies are a match made in heaven.Whether the canopy is over a bed or in a separate corner of the room, adding fairy lights to it creates magic. 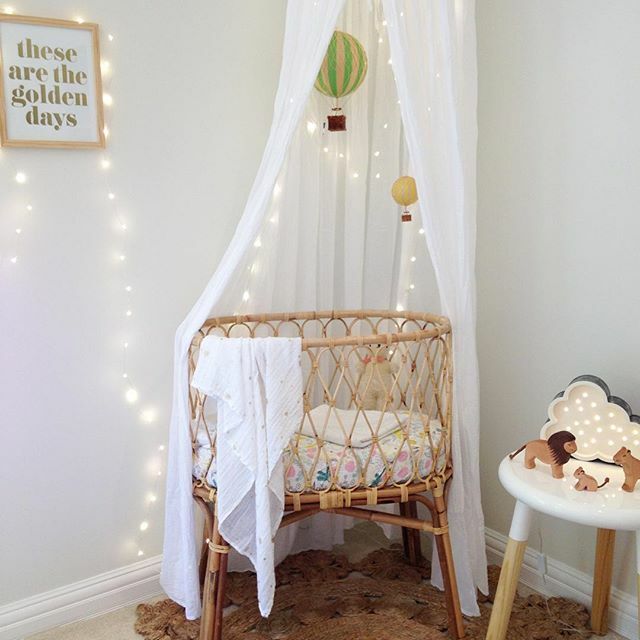 In the room above, I love how they’ve trailed the lights over a picture, adding to the already magical crib space. 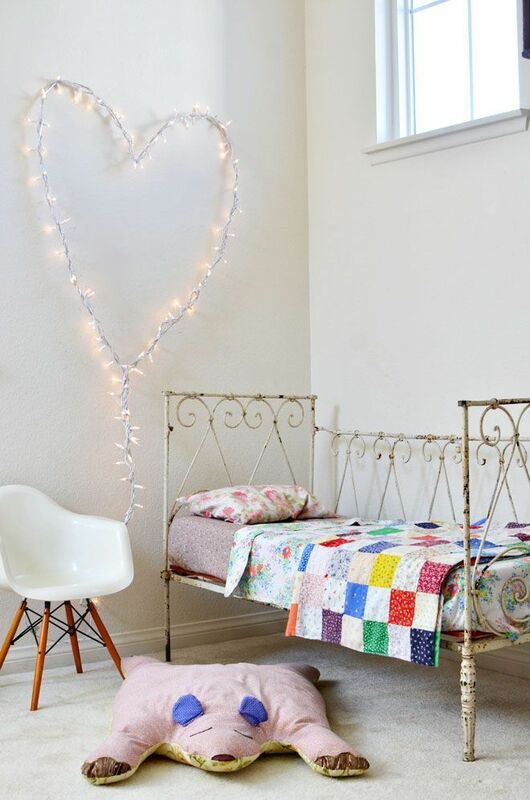 If you’ve got some Christmas fairy lights lying around, why not use them all year in your kids room? 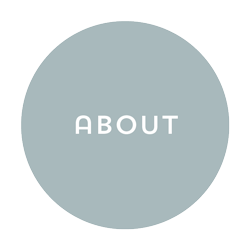 I love this idea of creating an over-sized shape out of them. The heart shape is adorable but you can even create a moon, clouds, stars or anything you can think of. 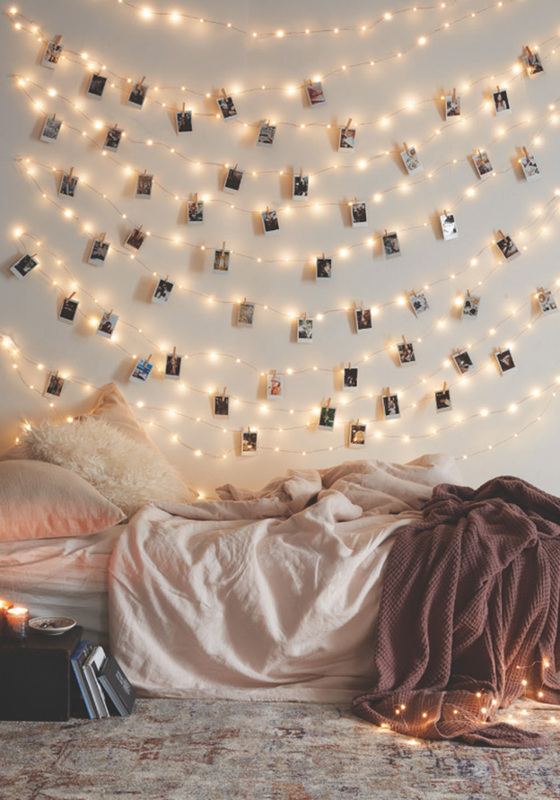 This is such a lovely idea — not only do you get the magic of fairy lights but they are personalised with old family photos. 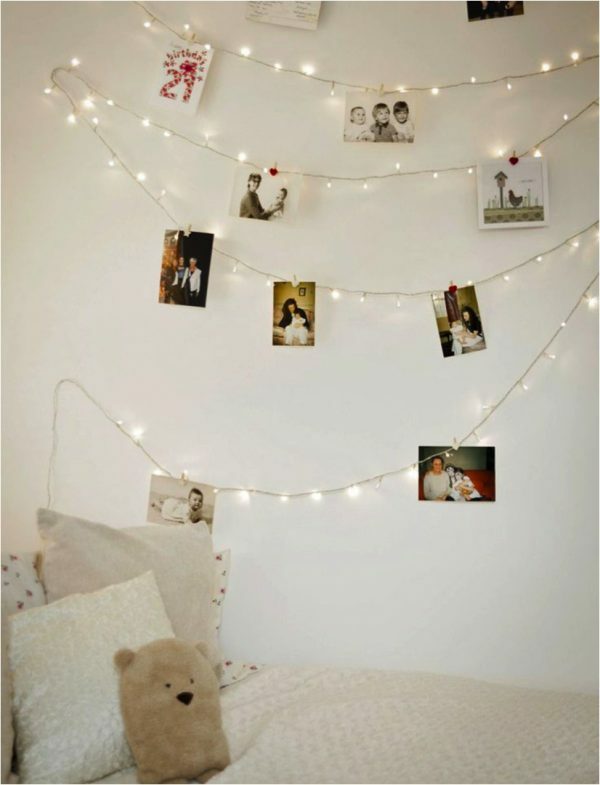 If not for old photos, you could create something similar and use the fairy lights to hang your kids artworks. Dark walls work so well with fairy lights. 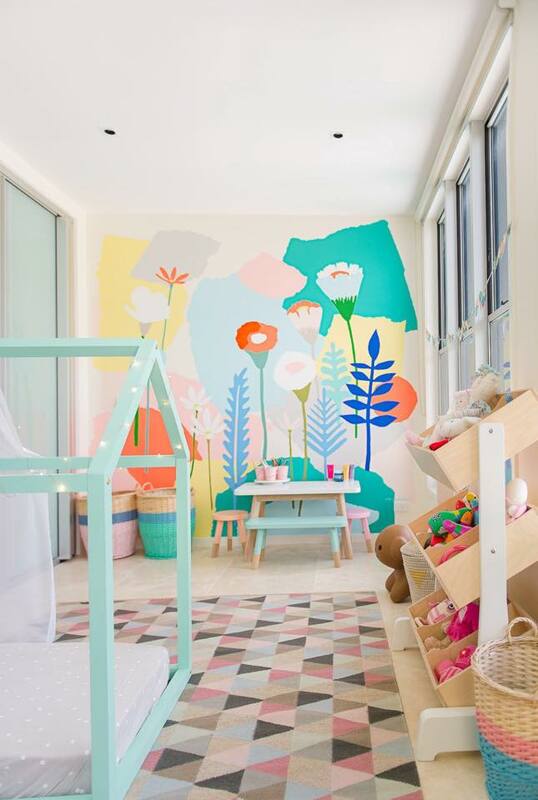 In this room, I love how the fairy light shapes have been given an extra touch of whimsy by adding faux flowers. How gorgeous do they look? 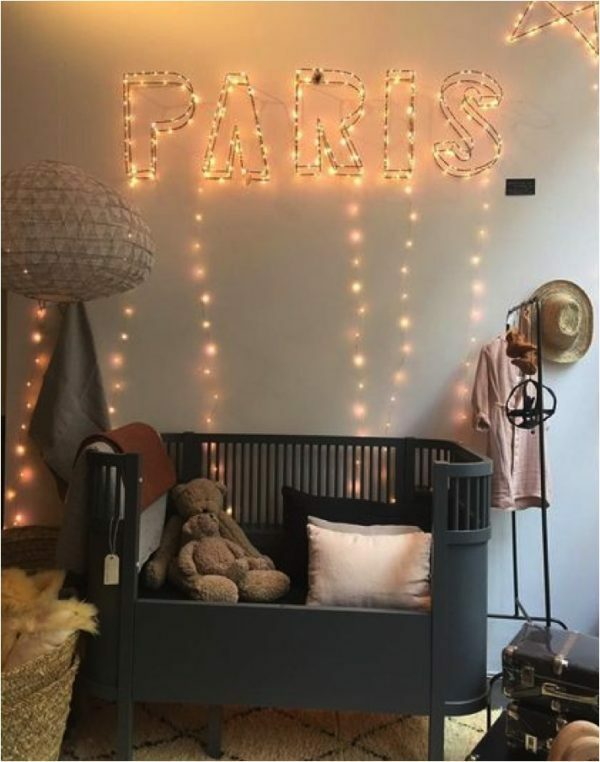 Creating words out of fairy lights is another fun way to display them in a kids room — create inspirational words or the child’s name or a favourite place — anything that means something to you. In the room above, they’ve not only got a word but they’ve let the lights trail down the wall too — making it even more magical and pretty. Are you convinced yet? The best thing about fairy lights is that you just can’t go wrong. 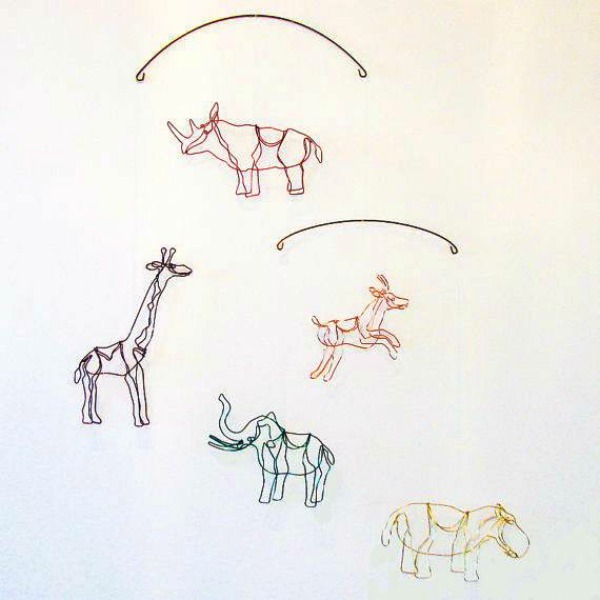 Put up as many or as little as you like, display them in any way you like and you will add an instant touch of magic to your child’s room. It couldn’t be easier!